November 1, 2018 3:10 pm. 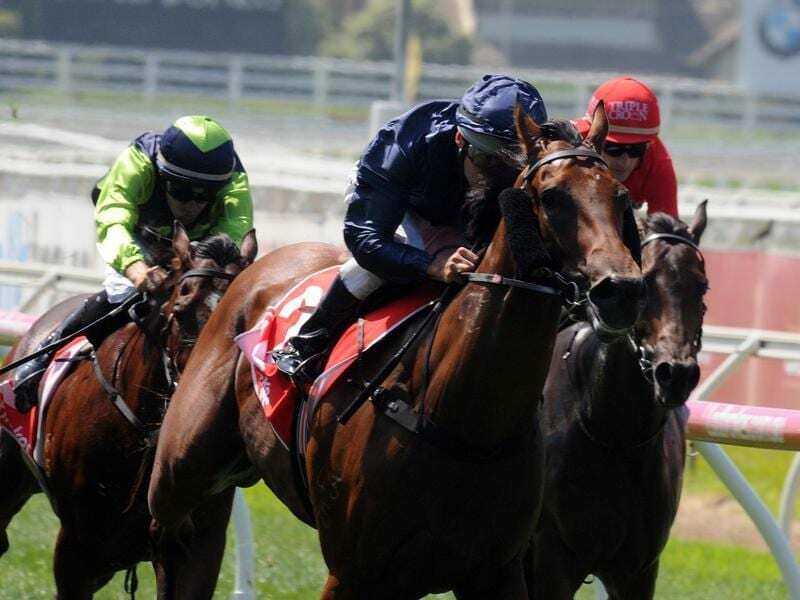 Long Leaf’s family features a host of classy sprinters and connections of the talented colt believe a decision to save him for the stallion-making Coolmore Stud Stakes can be rewarded at Flemington. “We’ve come to the conclusion we think he’s a really good fresh sprinter,” co-trainer Ben Hayes said. The colt’s dam Frustrating is a daughter of grand producing mare Parfore whose progeny include Group One-winning sprinters Terravista and Tiger Tees. Another of the late Parfore’s sons Ball Of Muscle is still excelling on the racetrack with three Group-race wins over sprint distances this spring. Co-trainers David and Ben Hayes and Tom Dabernig decided not to press on to last month’s Caulfield Guineas (1600m) with Long Leaf after his closing third in the 1400m Prelude, preferring to wait for Saturday’s $1 million Coolmore for three-year-olds over the straight 1200m. “I think it was a good decision not to run him in the Caulfield Guineas. I don’t think we would have beaten Chris Waller’s horse The Autumn Sun, and he’s freshened up excellent,” Ben Hayes said. “I think he was going as good as all of them,” Hayes said. “So I really like him. He’s a good each-way chance. “It’s a very competitive race but I think he’s definitely going to really sprint well fresh.